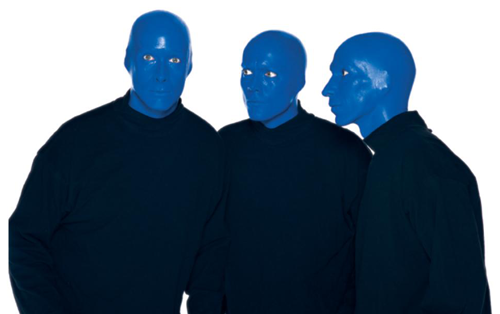 Homer Simpson once called the Blue Man Group a rip-off of “The Smurfs.” On “Arrested Development,” hapless actor Tobias Funke, played by David Cross, dreamed of becoming a Blue Man and painted himself their signature shade. Then they were featured in Intel commercials. But have you ever wondered why they chose blue? 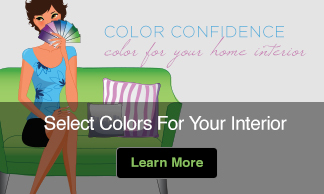 Interviewer: Your overall identity at your site and in promotional materials revolves around the color blue. Why was blue originally chosen to be the skin color of the men? Michael Quinn: Blue just felt right on all counts. 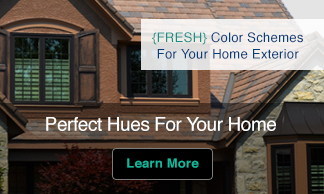 All other colors had some sort of connotation that we didn’t want. Green was alien or Martian, and it represents envy. Red is angry or has socio-political connections. Black and white have racial connotations. Yellow is jaundiced and sickly. Blue was perfect. It represents serenity, calmness. It represents water, the stuff of life. It is neutral, vibrant, and simple. What a memorable experience it was for us! This was my family’s second time to see Blue Man Group. Audience participation was great. Imagine getting your point across to so many people without speaking – incredible.